There are a number of factors to take into account when planning what system is right for you; budget, available space and energy output required. Other things to consider are how much time you spend during the day using electricity whilst it’s being generated on your roof. The largest part of the return for your investment is the ‘generation tariff’ so you get paid for what you’ve generated. But if you actually use the majority of that power, you are reducing your bill by the rate you pay your network electricity supplier. (On average 14 pence/unit) If you don’t use it and sell it back to the grid you’ll be paid the “export tariff” at 4.64 pence/unit. How do I know how much I’ve generated? As part of every system we install, we fit an approved Generation Meter. This digital meter will keep a running total of every unit you generate and will be used by your Feed-in-Tariff provider to calculate your payments. On top of this we will usually supply a wireless monitor which will show how much you are generating at that moment as well as a host of historical data including a graphic display of the days production, production over the last months, days and years, your expected payments and a guide to C02 savings you’ve made. How is the export figure calculated? At present the government are committed to plans to have Smart Meters in every home before the end of the decade. Amongst other things Smart Meters should be able to measure any energy you are exporting back into the grid. In the meantime the FiT providers will estimate the amount at 50% of your generation. You can sometimes opt to have an export meter fitted but the cost of this is unlikely to be recouped before your Smart Meter is installed! As an approximate guide (as at November 2015) it costs around £1,650 per Kw installed, plus VAT at the reduced rate (currently 5%) but it will of course vary on every installation depending on factors like access to your roof, location, overall system size etc. Prices have dropped dramatically over the last 12 months, meaning that the return on your investment and payback times have remained fairly constant. Get in touch to discuss your needs for an accurate quotation. Does my property need to be energy efficient already? 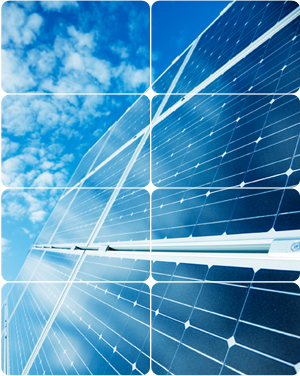 All solar PV systems qualify for Feed in Tariff payments but in order to qualify for the higher rates the system must be connected to an occupied building. That building needs to reach a certain level of energy efficiency and have an Energy Performance Certificate showing a rating of Level D or better. 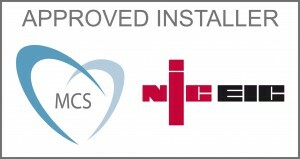 Please see our page on EPC’s.